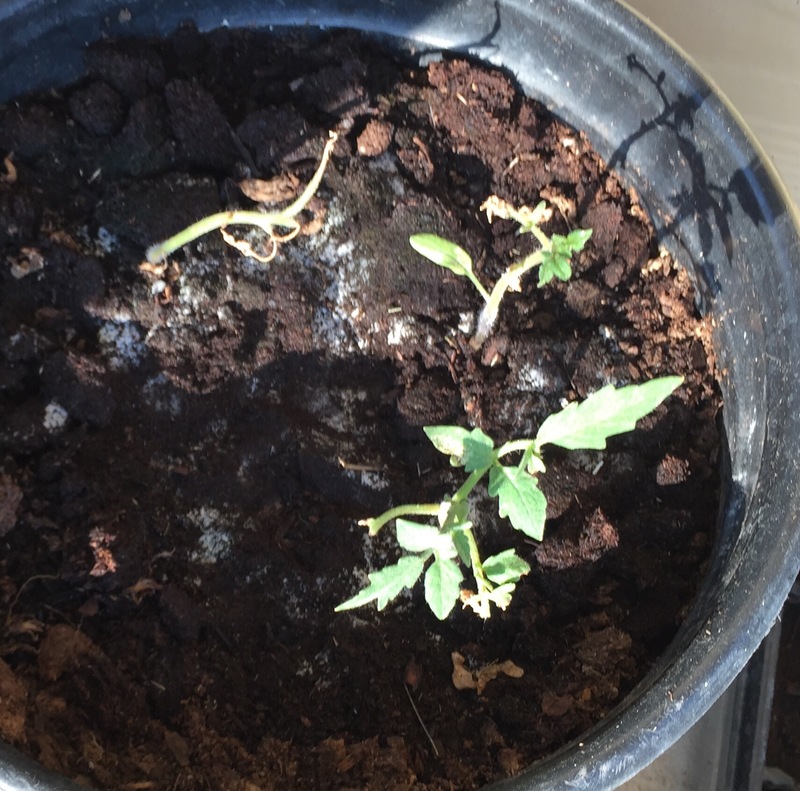 It’s a week after one of my downtrodden tomato transplants looked like it was getting its second wind, and guess what? Now there’s a second tomato plant that looks like it might be coming around, too! It would be wonderful if both keep growing, especially since one is a cherry and the other a big-tomato variety. Honestly, I don’t know which variety either one is, although I’ll probably be able to figure that out if they ever fruit. But whether the cherry is a Super Sweet 100 or a large-fruited red cherry — or the big obe is a Best Boy or Steak Sandwich — I don’t really care. I just hope they keep growing! A cherry tomato plant can’t quite keep pace with the volunteer zinnias in this pot, but it’s doing okay! 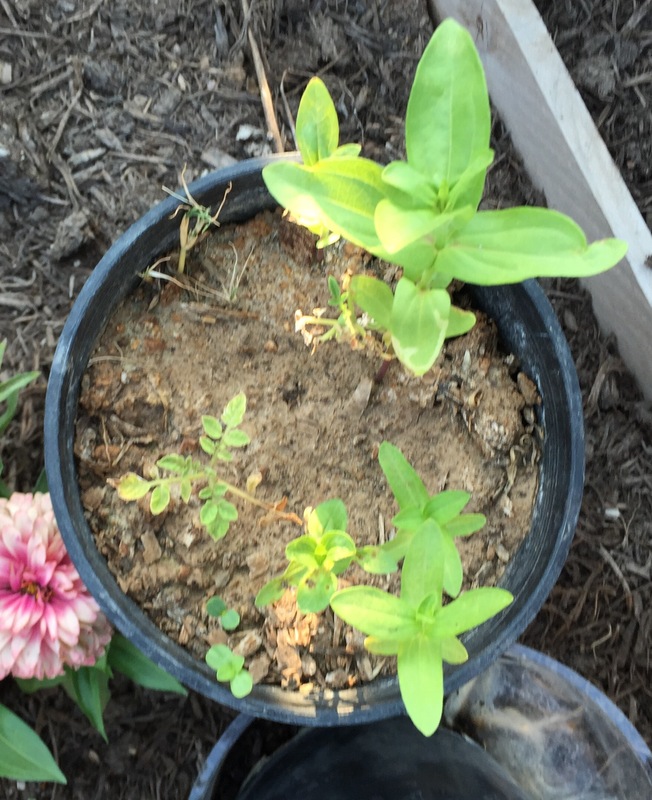 This entry was posted in Gardening and tagged tomatoes on August 26, 2015 by Julie Riebe. I can’t believe I ate a tomato from my garden today. That’s the longest summer stretch yet! It was one lone cherry volunteer that has been struggling since sprouting in July, but one little POP was all I needed. Delicious. I think I might yank it up this weekend…it’s looking very puny.